Opened in 2007. Newly renovated in 2016. 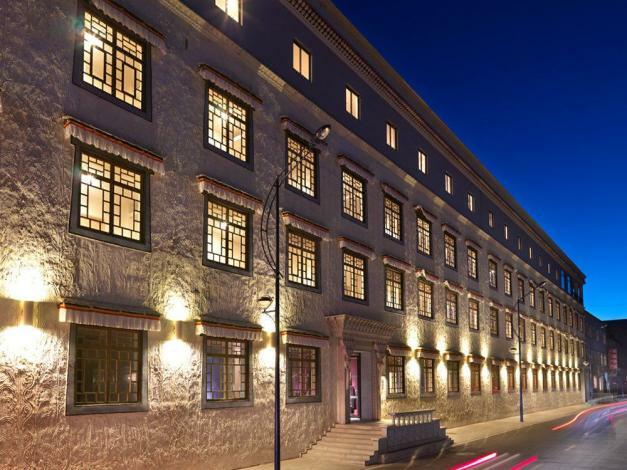 Facing the Jiangsu Road-the main road in Lhasa, the Four Points by Sheraton Lhasa (Lasa Fupeng Xilaideng Jiudian) is about a ten-minute drive from such famous Lhasa attractions as Jokhang Temple, Potala Palace and the bustling Barkhor Street. There is a lot for guests to park their cars. This Lhasa hotel houses guestrooms which are equipped with LCD TVs, safes and free broadband Internet access. Humidifiers and oxygen facilities are also on hand to ensure guests are always comfortable. Oxygen serves international flavors and the Southeast Asian-style lobby bar proves to be the perfect venue for guests to enjoy a cup of coffee, cocktails and pastries. After a day of travel, guests may spend some time in the massage room or have a drink in the courtyard while catching up with friends.